MADISON, Wis. — There are two personalities tucked inside hirsute singer-songwriter Ray LaMontagne. The first is a reserved, introspective craftsman that we see and hear before, after and in between his songs. This is a quiet guy who fits exactly the part of the carpenter that he once was as he almost anonymously goes about this work, tentatively and warily dipping a toe into the spotlight to share his creations. The other person is the man in performance — on stage and record — who is essentially a torch singer burning with passion and brimming with dark romantic allure. At LaMontagne’s concert on Friday night at the Union Theater on the University of Wisconsin-Madison campus, the audience saw the closest thing yet to both of LaMontagne’s personas finally united together. While he remained a bit shy and adamantly steered away from the front of the stage, he was more open and engaging with the crowd than in the past, muttering witty remarks off-mic, telling an anecdote or two and passing along charming retorts to the friendly hecklers. It seemed LaMontagne, now more than ever, is becoming comfortable in his performer’s skin. And with a new album, “Gossip In The Grain,” slated to hit stores in a couple weeks, this show offered a preview of this new identity and the fruits of his personal evolution. If LaMontagne is an artist who is more at ease with taking chances, it’s a change brought on by growing public support in his abilities. His first record, 2004’s “Trouble,” was a mostly acoustic affair that more than anything revealed his lyrical gifts and his distinct, bristling voice. The songs were allegorical and often melancholic, but with vibrancy that suggested real fire in this boy’s belly. His follow-up disc, 2006’s “Till The Sun Turns Black,” added more instrumentation to the formula and sometimes occasionally strayed into other genres. During Friday’s one hour and 45 minute show, LaMontagne went further still by presenting about a dozen new songs that delved even deeper into his roots-music influences. Perhaps, this new bravery wasn’t obvious to the audience at first as LaMontagne and his four-piece band were arranged in a semicircle with their leader hiding on the far right side. More than a few onlookers wondered aloud about the empty space at center stage where a vocal mic normally stands. The unspoken message appeared to be that while his name was on the marquee and these were his angst-ridden tunes, LaMontagne want to be just one of the guys. And with a road band like his, there’s no wonder LaMontagne’s confidence has gained a bit more oomph. The group, most of which recorded his new disc with him, included his longtime producer Ethan Johns on drums, bassist Jennifer Condos and Minnesotan multi-instrumentalist Eric Heywood on guitar and pedal steel. They embellished LaMontagne’s straight-forward strumming and suggested a little danger into the typically faithful readings of his songs. Heywood in particular was LaMontagne’s ace in the hole. Blond and bearded, Heywood looked like LaMontagne’s Nordic evil twin, but similar to his boss, he showed brief, thrilling glimpses of his instrumental prowess before quickly retreating to the anonymity of the cut’s melodies. Although LaMontagne’s music is mostly acoustic, to lump it in with other soul-baring, wannabe poets is to underestimate his musical skills. This isn’t the kind of guy you’d mistake for a common busker. First, there’s that world-worn voice. It’s as if Wilson Pickett was reincarnated as a scrawny, scruffy white guy from Maine. LaMontagne might not have the soulful range that he did in a previous life, but he has the grit and passion that a Pickett or Solomon Burke harnessed onto. Second, there’s a underlying dynamism and open-ended structure to his chord-based melodies — similar to Van Morrison’s late ’60s acoustic material — that again push this music away from tired folkie clichés and closer to white-man blues. There is definitely a folk-rock soul man aching to get out. LaMontagne’s gravelly growl and his wavering vocal delivery went a long way toward helping the crowd through a lot of unfamiliar songs. He opened with his energetic new single, “You Are The Best Thing,” which channeled the style of urban soul and showed Morrison-like sonic nimbleness despite lacking the big horn arrangements of the recorded version. Although the song’s sentiments are fairly commonplace, the yearning and raw emotion in his voice transcend plain-spoken words. As he would do throughout the night, Heywood took the band home with a stylish, spine-tingly solo on his yellow Telecaster. All the new songs showed a range and appreciation for rock canon that was only suggested in LaMontagne’s other CDs. These new compositions aren’t as blatantly in the singer-songwriter mode. He’s branching out to conquer genres with moods and dispositions that border on his own bread and butter. With its “Do Right Woman”-inspired breakdowns, “Let It Be Me” was conceived as the idealized version of a Stax Records soul vehicle. With his knees buckling after he sang each line and Heywood’s steel guitar quietly weeping in the background, it wouldn’t be hard to imagine this could serve as top-flight demo for Aretha Franklin if she wanted to head back to Muscle Shoals for a trip down memory lane. One unidentified track drew together a half dozen classic-rock touchstones into one tune. It had a steadfast pounding rhythm that sprouted electric piano thrusts, Johns’ most muscular drumming effort and a “Rumble” guitar glissando from Heywood that only relaxed for a whimsical, swirling Beatles-y keyboard chorus. Another featured a gorgeous, finger-picking duet between LaMontagne and Johns on mandolin. The interplay between the two creating an other worldly quality that was perfectly mated to the songs lines about idealized, childhood love now must mature in a more complicated world. “Henry Nearly Killed Me (It’s A Shame)” was a blazing, front porch blues-rocker that could have been an outtake from Bob Dylan’s “Highway 61 Revisited” recording sessions. LaMontagne wrestled to reveal all the bite of his voice, groaning, “It’s a shame, shame shame/Baby, It’s a crying shame.” The band meanwhile was a blues locomotive with a harp player squealing and chugging along and Heywood cast as a very restrained but equally explosive Mike Bloomfield who producing fearsome guitar barks. Another new song, “Hey Me, Hey Mama,” was a ramshackle Jim Croce-ish number. LaMontagne was back on the farm for a good ol’ boy, hillbilly romp. “Papa’s in the kitchen/Mama’s in the field,” he sang like he was riding on the back of a hay wagon. Heywood’s acoustic guitar lines recalled Hank Williams’ Drifting Cowboys and a stride-influenced saloon piano solo brought a touch of town into this backwoods ditty. Shifting back toward more familiar territory, LaMontagne and the group stretched “You Can Bring Me Flowers” even further into a cool jazz jam than it was on his second disc. The song seemed like an odd pairing of aesthetics that proved mightily effective, like if Joni Mitchell sat in with Charles Mingus with Ry Cooder adding a few tasty guitar licks. Johns made the group swing with his jazz timekeeping and fills while LaMontagne’s Herbie Hancock-lookalike keyboardist contributed some electric piano flourishes when an instrumental diversion came into play. Crowd favorite “Trouble” took on a country-ish lilt to it thanks to Heywood’s steel guitar, which smoothly answerer back and supported each of LaMontagne’s mournful howls. “I’ve been saved by a woman/But she won’t let me go,” he moaned and then repeated as if it couldn’t be believed. Again calling upon Van’s inspiration, LaMontagne’s loverman vocals ramped up the band at the end before deftly reining them in for the conclusion. Returning for the encore, he and his sidemen were unwilling to power down. He brought everything he had to “Shelter,” sometimes whispering the words, other times hollering to reach every syllable. The group closely followed his lead, sneaking out from behind him and his metronomic acoustic guitar playing as he focused in on the song’s core message. This idea was tipped over for road song “Three More Days,” which had all the musicians throwing something in. Smiles passed among the five of them as they tossed out jazzy runs or smartly and momentarily brought the melody to a halt. Heywood more than earned his check with guitar motifs that shimmered and hung over the groove and then pitching in tight, aggressive lead licks. His quicksilver solo was a tribute to the quivering soulfulness of the Robbie Robertson school of axe slinging and left LaMontagne to bark in excitement at his sidekick. Brought back for yet another encore, LaMontagne finished the evening with “Jolene,” a song that ranks as his very best songwriting effort. Simple chords and ordinary tale of heartbreak are transformed into a gem through his burned-out voice and imagery. 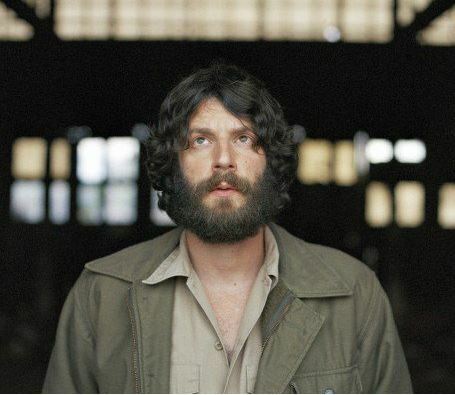 In concert as he is on the song, LaMontagne is a man rambling on the road and haunted by a love that he can’t obtain and the burn of the emotion was palpable. He played with the vocal cadence slightly, but nothing could sap the inherent pathos of the song. Also belying in power and somewhat meek herself, British songstress Leona Naess opened the concert tentatively, but as she and her quartet got their footing, the audience could begin see what attracted artists ranging from Counting Crows to former flame Ryan Adams to tout her talents. Her quieter material was slow and fey at times although her performance improved when she put down her guitar and presented her soft voice’s full range. An un-ironic cover of “Danke Schoen” had the same cabaret sweetness that actress Zooey Deschanel consistently demonstrates. Naess’ progress mirrored that of her patron, but played out over only half an hour. From his start, LaMontagne had nothing holding him back. There were points that he wanted to make with a yell or a croon. His reputation as stoic performer seemed unfounded. He was charming, cracked wise under his breath and was appreciably self-deprecating. “Always best to tie your shoes before singing a ballad,” he said after he had slipped off his guitar to tie up his boot. On this night, everyone seemed to love the guy with the beard. Monday, Oct. 13, Glenside, Penn. Tuesday, Oct. 14, North Bethesda, Md. Friday, Oct. 17, Knoxville, Tenn.
Tuesday, Oct. 21, Kansas City, Mo. Monday, Oct. 27, Boulder, Colo.
Monday, Nov. 3, Oakland, Calif.
Wednesday, Nov. 5, Portland, Ore.
Thursday, Nov. 6, Eugene, Ore. Tags: campus, Eric Heywood, Madison, Ray LaMontagne, review, Union Theater, University of Wisconsin-Madison, Wisconsin. Bookmark the permalink.